The time is approaching to dedicate The Kannapolis City Schools House! Come and celebrate the hard work of Carissa Mouton and the community! 2013 Building on Faith home will be build in the Logan Community in Concord, NC. Habitat for Humanity Cabarrus County and the city of Concord have developed a partnership to revitalize the Logan neighborhood with new home builds, increased homeownership and some “brush with kindness” repairs. Terrance will then pay an affordable, 0% interest mortgage to support future Habitat builds. We need your prayers and your help! Volunteer dates for Building on Faith begin July 13. Volunteer registration can be completed online at http://habitatcabarrus.ivolunteer.com/ or by contacting Tiana DuVall (information below). In addition to on site volunteering, we can use volunteers in the office to help with some of the behind the scenes work such as scheduling volunteers, contacting local churches to engage their support or planning the dedication. If you are interested in helping in this way, email or call Tiana DuVall at tianaduvall@habitatcabarrus.org or 704-786-4001. We need your help raising the funds to complete this house. Donate online here, or mail a check to Habitat Cabarrus, P.O. Box 1502, Concord, NC 28025. Please put 2013 BOF in the memo line. 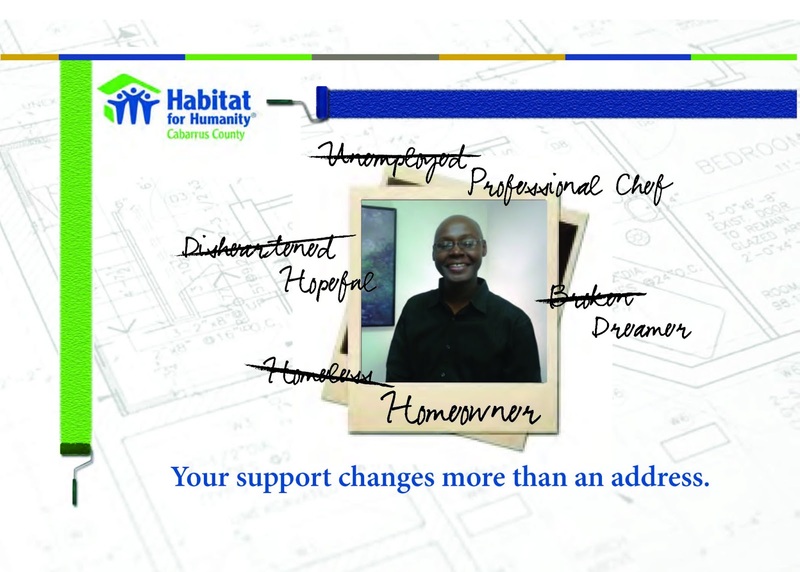 Terrance Grier is a dedicated, hard working partner of Habitat Cabarrus who will be a homeowner by the end of the year! Terrance moved to Concord to live with his sister (who was Habitat Cabarrus’ first homeowner), after a few life challenges left him unemployed and homeless. 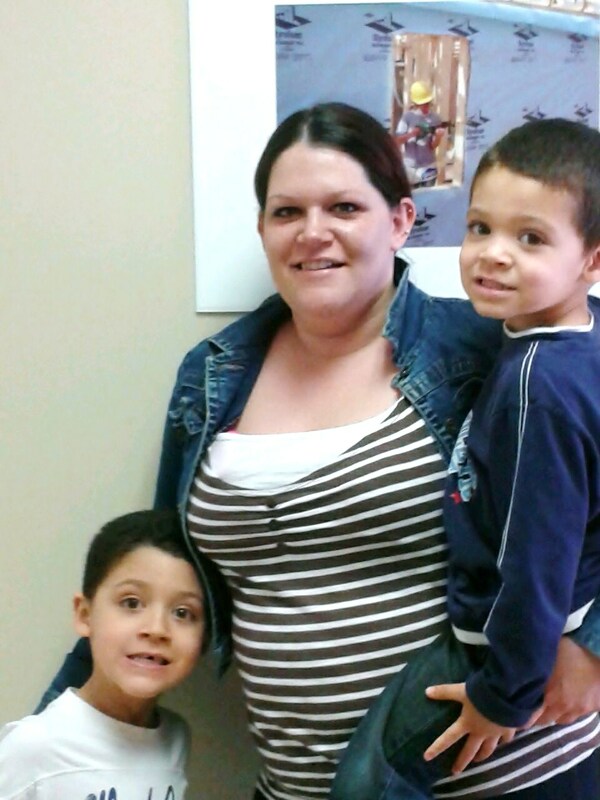 His sister helped him get back on his feet and encouraged him to seek help from Habitat. He wasn’t ready for Habitat’s homeownership program, but he moved into one of our transitional apartments in Concord and started working towards qualification for his own Habitat home. Even before he was identified as a Habitat partner family, Terrance took the Dave Ramsey Financial Peace University classes, putting a lot of effort into finding financial freedom and meeting the qualifications for the Habitat program. Through his volunteer work with Habitat Cabarrus, he found employment and has now put in a lot of sweat equity hours towards his own home. Terrance has a culinary arts certificate and uses that to earn some of his sweat equity hours by cooking meals for partner family classes. His dream is to one day own his own catering business. Habitat and homeownership is a step in the right direction.